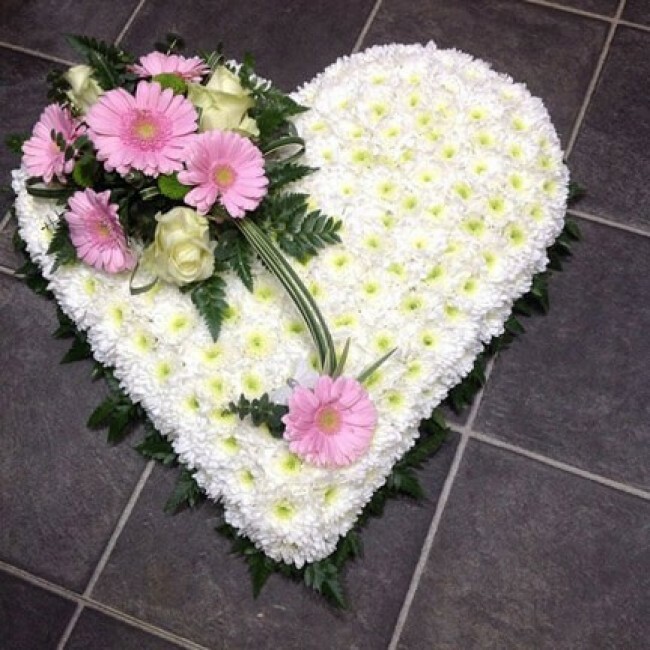 Say Goodbye or pay your respects with this simple yet beautiful Heart shaped pillow. Arranged to suit your needs in a variety of colours. Please call Vida or pop in store to discuss your requirements.